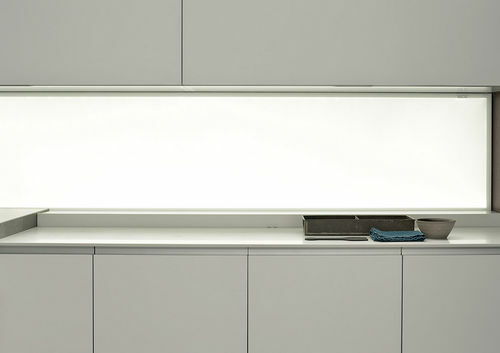 MOVE UP REAR TIDY SYSTEM Has led backlighting in the extra clear frosted glass version. It creates a reflective effect with uniform light distribution also in combination with the rear tidy system. 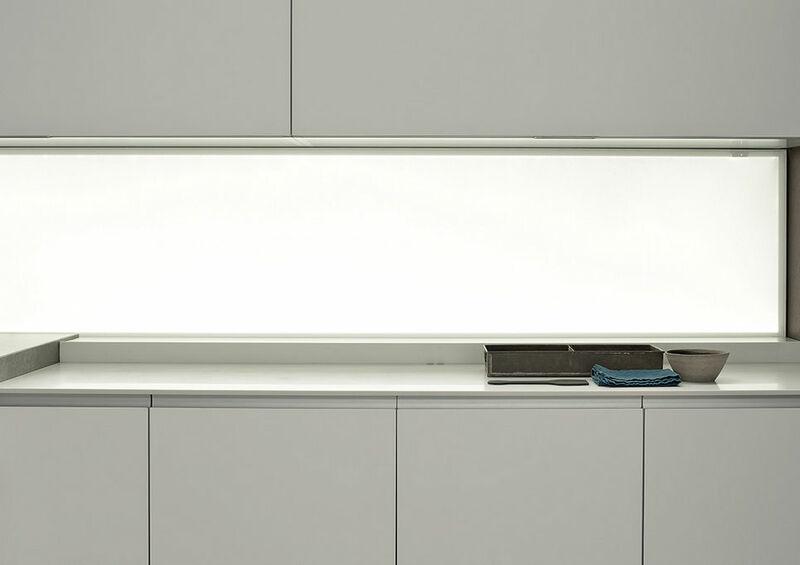 Other available versions without backlighting: frosted glass, lacquered glass, steel, wood, lacquered, Corian®, quartz, marble and granite.